Students from Benton Community will get opportunity to present at the largest edtech conference in the nation this June. 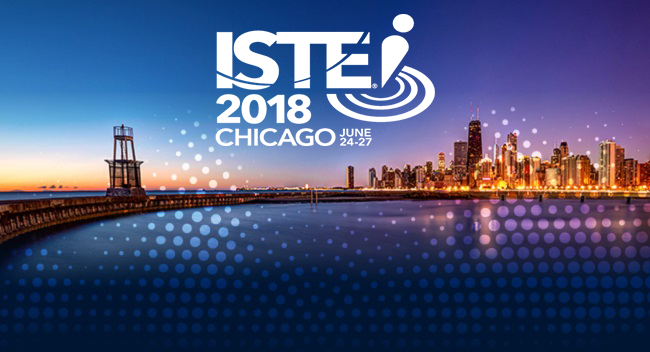 ISTE is a conference for teachers and leaders to learn and connect. With over 16,000 educators in attendance, our students will get the opportunity to spread their message of student leadership in the makerspace with people from all over the nation. 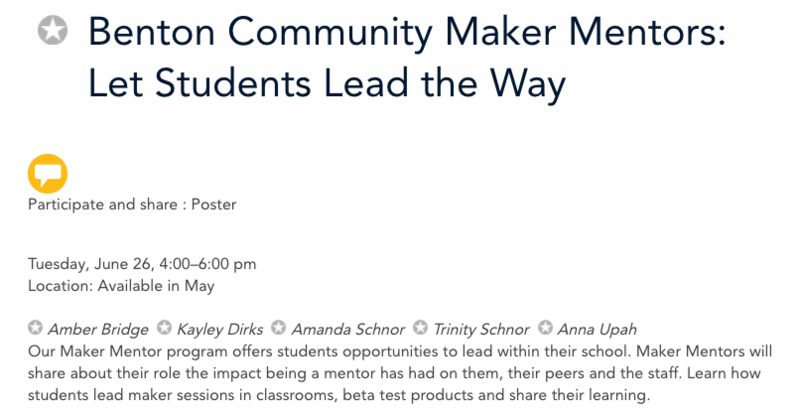 We will be presenting with Amber Bridge, the mentor to our maker mentors. Amber is a member of the Digital Learning Team at Grant Wood AEA and one of the hosts of a popular maker themed YouTube channel, Think, Make, Innovate. Check out information below on the poster session we will be presenting. Also, I've started a website featuring information about all BC Elementary makerspaces. Check it out HERE. 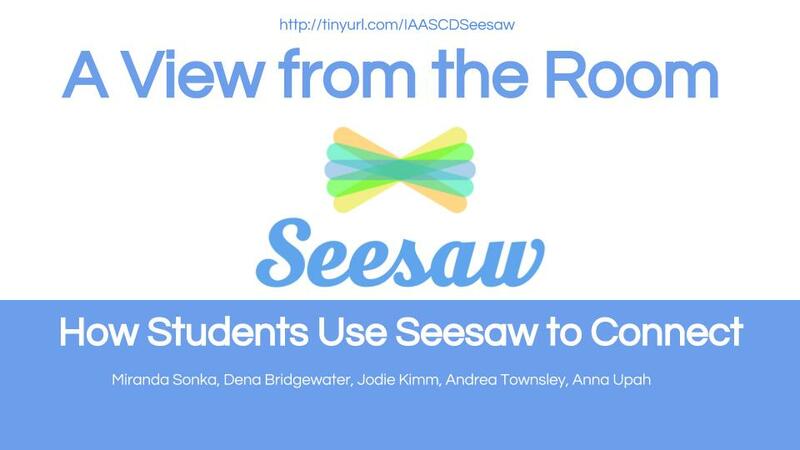 Seesaw for Schools has been a great tool for us at Keystone Elementary and Atkins Elementary. Our students are empowered to share their learning journey with families. Communication between teachers and families is at a level that I've never seen. Parents are able to get content from the classroom directly on their cellphone or in their email. 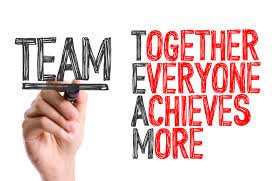 Teaching a child has got to be a TEAM effort between the school, families, and the community. We are as transparent as we've ever been about what is happening in our buildings and how families can help at home. Keystone Elementary's building stats are listed below. It is exciting to think that these numbers will keep growing as students and teachers continue to post and parents continue to engage! Below are some links to resources we've created around implementation of Seesaw @ Benton CSD. "What we say to children, as well as how we say it, contributes to their identity and sense of agency, as well as success. The messages that students receive externally become the messages they give themselves." Hattie tells us that feedback is one of the most effective influences that impact learning. Report cards went home last week. The final night of conferences are being held tonight. These two events are opportunities to give feedback on a few different levels. What I am most impressed by is the amount of feedback that gets exchanged on a daily basis. Teachers and students are uploading evidence of student understanding to Seesaw and leaving compliments and suggestions. Parents are able to view these pieces of evidence and leave comments as well. This is on top of the feedback that students receive when they're in classrooms in our buildings. Below is a document with ideas on sentence starters for feedback, both compliments and suggestions. It is important that our feedback is specific to the behavior or action that we'd like to see repeated. It is also important that students are receiving feedback from multiple people in their lives. ​Remember, it is the voices that students hear externally that become the voice in their head. A few days ago I saw #500c in multiple tweets as I scrolled through my Twitter feed. #500c is a challenge for school leaders to get into 500 (or more) classrooms for informal visits throughout the school year. That's a lot of classroom visits! When I went through the tweets, most of those accepting the challenge are building principals. They were sharing about how much they've enjoyed being out from behind their desk and in classrooms throughout their buildings and districts. As I was reading this, I was reflecting on the life of a coach, my goals for this year, and how I wanted to jump in and join the challenge as well. Sometimes, the life of a coach can get computer heavy, especially at the beginning of the year. I've spent a lot of time getting students put into different assessment systems, setting up asynchronous learning opportunities that staff and students use, and making sure our system is ready for the first round of state supported assessments. While all of this is important and must be done, creating online learning accounts and making sure our assessment system is up and running isn't why I became an educator, teacher or teacher leader. I became a teacher because I really enjoy kids and watching them grow and learn is one of the greatest blessings I get to experience as an educator. I become a teacher leader because I feel that my purpose in life is to serve. I want to serve teachers, students, and families. Serving them requires living in the space they learn and grow in! Every time I walk into a classroom, l learn something new. I am so fortunate to be surrounded by so many inspired and passionate educators at Benton CSD. When I go back to the classroom someday, I will be a completely different teacher thanks to the many teachers I get the opportunity to observe and learn from in my current position. I also get the opportunity to be coached by my instructional coach team weekly. They teach me so much, push my thinking, and help me understand new strategies, methods, and approaches. I started my #500c today! Pictures from some of my visits can be found below. I will be sharing pictures from some of my #500c classroom visits on Twitter and Facebook. Follow me at @AnnaUpah, #keyrocks, #BentonCSD or Keystone Elementary to see what I'm learning from teachers at Benton CSD. Visible Learning is an idea brought to us by John Hattie. Beyond reading different books by Hattie, I have had the opportunity to learn about Visible Learning from Steve Ventura. Grant Wood AEA has hosted opportunities for area educators to learn from Steve the past two years. At one of his sessions this year, he shared a visual created by another district that he had worked with that describes characteristics of visible learners. We put own out Benton CSD spin on the visual and now have it posted in classrooms throughout the building. The day of learning walks was one of my favorite days as a classroom teacher. I didn't know I could love it anymore than I already did, and then I became an Instructional Coach. I get giddy with thought of all of the deep reflection that comes out of learning walk conversations. We changed a few things about the learning walk process this time around. We considered the feedback that we received after our learning walks from earlier this year. Teachers wanted more flexibility in where they went and what they saw. All doors were open at all points throughout the day for this round of learning walks. At first, there was some hesitation in the air around the idea that no one knew when their colleagues were going to enter their classroom. This was very different than past learning walks where teachers got to choose when their classroom would be open. My standard response was, "Just do what you'd normally do. No one is coming in with a critical lens. Do what you know is best for your kids." "I really liked how... I need to try that!" "I need to ask her more about..."
Teachers will provide each other with feedback from their observations. This was always one of my favorite components of learning walks as a teacher. I wanted to know what other people saw and heard and what questions they had that would challenge my thinking. My biggest take-away from the day was that our students want to talk about what they are learning. I asked a number of students about what they were working on when I entered classrooms throughout the day. All of them were excited to share what they were learning and why they were engaged in a specific task. This sparked some deeper reflection. What are we doing to create a culture where they have opportunities to do this outside of the 3 or 4 times a year we have learning walks? What kind of audience are we exposing them to? How can we start embedding this into our classroom and building culture? We are so fortunate to be surrounded by so many talented, passionate educators. There is so much we can learn from each other. Some might say this is cheating, but my One Word is moving with me from 2016 to 2017. 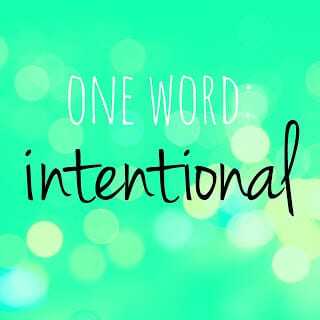 I look back at this post from last year and think about ways in which I've grown to be more intentional and ways in which I need to continue with this as my focus. I read One Word at least once a year. I appreciate what it has to say about resolutions verses the One Word idea. The One Word approach is deeply rooted in individual reflections. The authors of the book artfully ask reflective questions that draw you towards one word that integrates goals and action. Let me know if you'd like to borrow my copy. It's a quick read! Veterans Day at Benton Community is an event like no other. Seeing the inspiring display of patriotism by students, staff, and community members is a true honor. The amount of time and work that goes into the preparation by high school administrators, staff, and students and elementary music teachers and students makes this event a must-see by so many. A group of third grade students at Atkins Elementary took it upon themselves to raise money to support veterans on an Eastern Iowa Honor Flight. This group of third graders came up with the idea with the help of their teacher, Kim Lynch. They decided to have a day where families could come into the school and have holiday card pictures taken. The money raised would then be donated to the Eastern Iowa Honor Flight. During the planning stages, students wrote letters to photographers asking them to donate their time. We are so fortune to live in a community where talented individuals are ready and willing to help students in any way they can. Students did all of the work in planning and preparing the event from drafting the letter to families about the event to writing the speech that would be shared at the district assembly and memorial dedication. Students were all-in all of the time with this project. They felt ownership over what happened within their project and were drivers of where they were going. Students knew that obtaining the outcome they desired was dependent on the work they were willing to put in. Thanks to the amazing work of students, Mrs. Lynch, and many other volunteers and families, the group was able to raise approximately $1,400 to donate to the Eastern Iowa Honor Flight. Not only did these students learn about different reading and writing ideas, they learned about what it means to be part of something bigger than themselves. They also learned what it means to be part of a supportive community. When I think of what it is that makes Benton Community "A Place to Belong", my mind goes to opportunities and experiences just like this. If you,or someone you know would like to contribute to this project, please contact Kim Lynch at Atkins Elementary.